The Eleventh Circuit held that a sub-assignee’s claim for payment of a chiropractor’s bills against Blue Cross and Blue Shield of Florida were within the scope of ERISA and thus determined that the district court properly declined to remand the case to state court. In so holding, the Court explained that the sub-assignee could have brought its claims under ERISA § 502(a) because each count was based on an alleged wrongful denial of coverage under the plan. The Court also concluded that the sub-assignee had standing to assert its claims because it acquired derivative standing through an assignment of rights and determined that there is nothing in ERISA prohibiting non-healthcare providers from obtaining derivative standing through a sub-assignment. 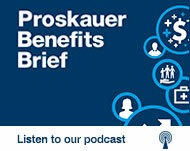 Moreover, in the court’s view, permitting such an exception furthers the goals of ERISA and protects plan participants. The case is Gables Ins. Recovery, Inc., v. Blue Cross & Blue Shield of Fla., Inc., No. 15-cv-10459, 2015 WL 7729474 (11th Cir. 2015).